These two are the cutest. Heart Evangelista and Lovi Poe play mortal enemies on their hit teleserye Beautiful Strangers, but these two gorgeous girls are super best friends IRL! 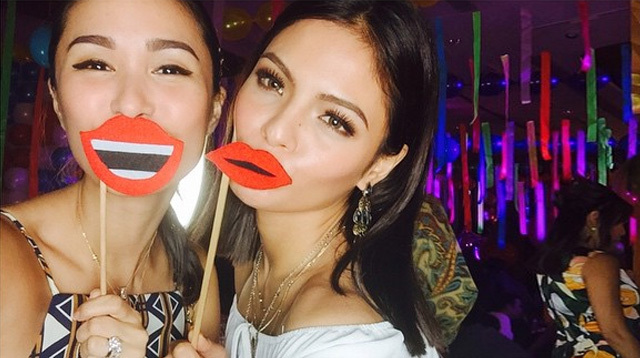 The chinita and morena beauties are definitely the #PairPeg to follow in showbiz. A million thanks to Instagram (and to Heart for making her profile public again!) for giving us more reasons to love them! They have an ultra-exclusive book club for TWO! Sali naman kami diyan, pls. They look gorg AF in hair nets and scrub suits. BAKIT?! It’s no prob for Heart to third wheel with Lovi and boyfie Rocco Nacino. Their party selfies are TDF! When they hack each others’ IG accounts! They even went to their high school alumni homecoming together! Meant to be talaga kayo. Work becomes double the fun when you’re with your BFF! Awww!